We are so excited for our third annual Brown Bag event. 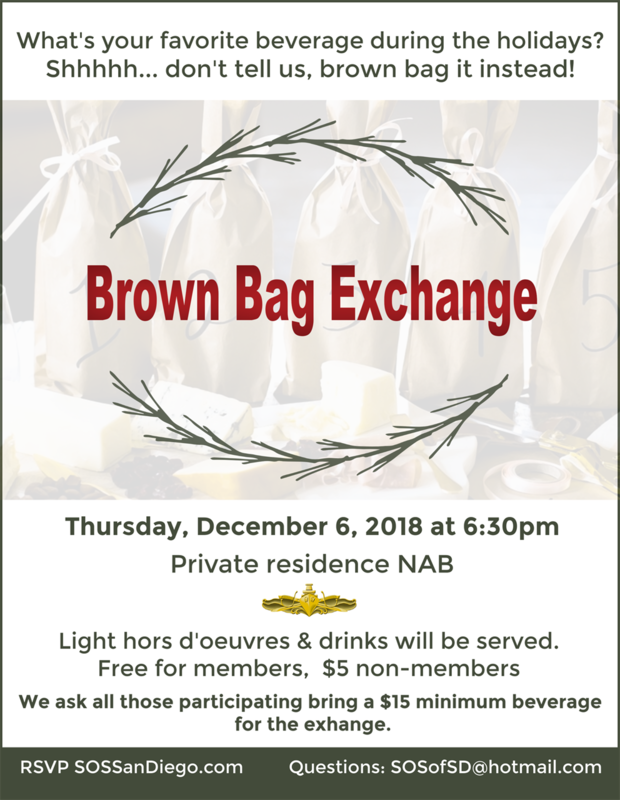 If you were unable to attend last year, basically you bring a beverage ($15 minimum) wrapped in a brown bag and we play a version of white elephant. Exact rules of the swap will be given at the event. It'a a lot of fun and you will go home with a fantastic beverage! RSVP for location details.